Uno Lady shirt! Designed by the father and son team of Mike and Milo Rodemann. 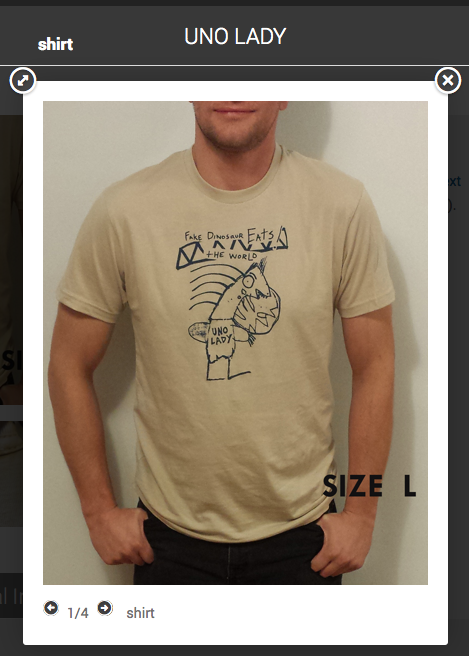 “Fake dinosaur eats the world” is printed on a 100% Cotton Next Level Apparel T-shirts. Super comfy, thin in a good way, and WRAP Certified (fair trade and child labor free).